Прицел ночного видения ATN Night Arrow 4 - WPTI™ для охоты. Официальный дистрибьютор ATN в Украине. 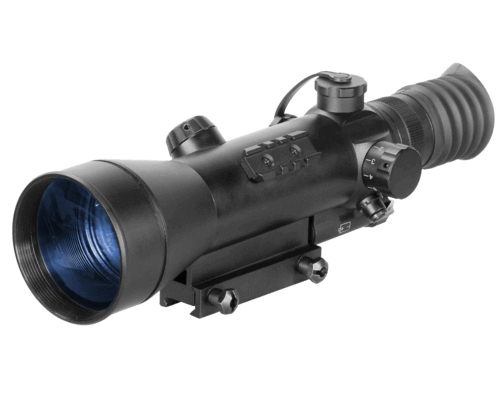 The ATN Night Arrow 4 - 2 from ATN is a rugged Night Vision Weapon Sight that provides excellent observation, target acquisition and aiming capabilities for the demanding sports shooter or varmint hunter. The best optics, tubes and performance make the ATN Night Arrow 4 - 2 one of the best commercial Night Vision Riflescopes!